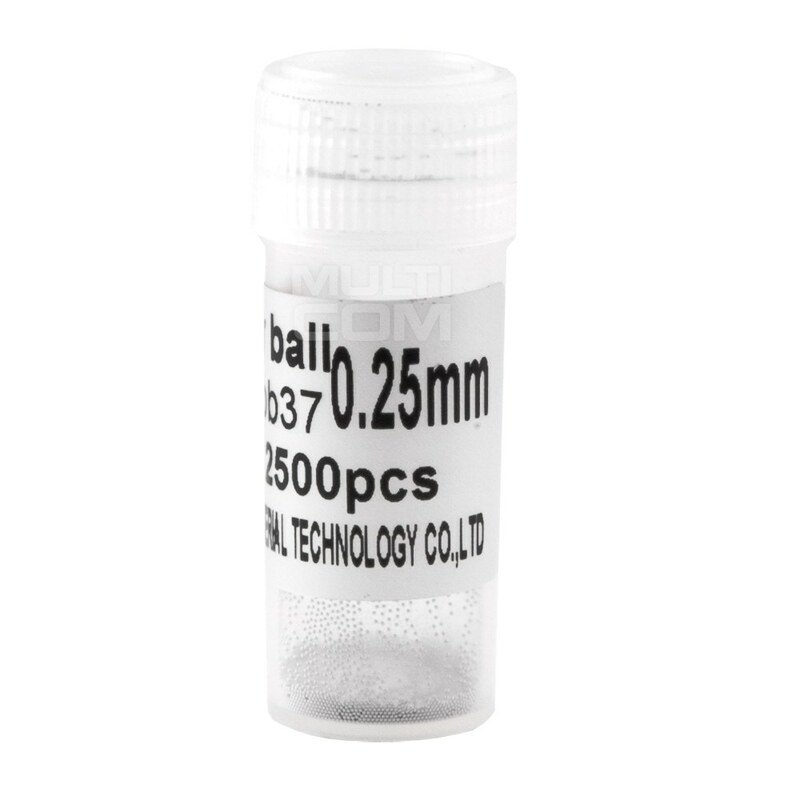 BGA PMTC Sn63pb37 balls 0,25mm 12500 pcs are balls designed for regeneration of electrical connections under BGA circuits. Composition of beads: tin - Sn 63%, lead Pb 37% (lead beads). PMTC balls. 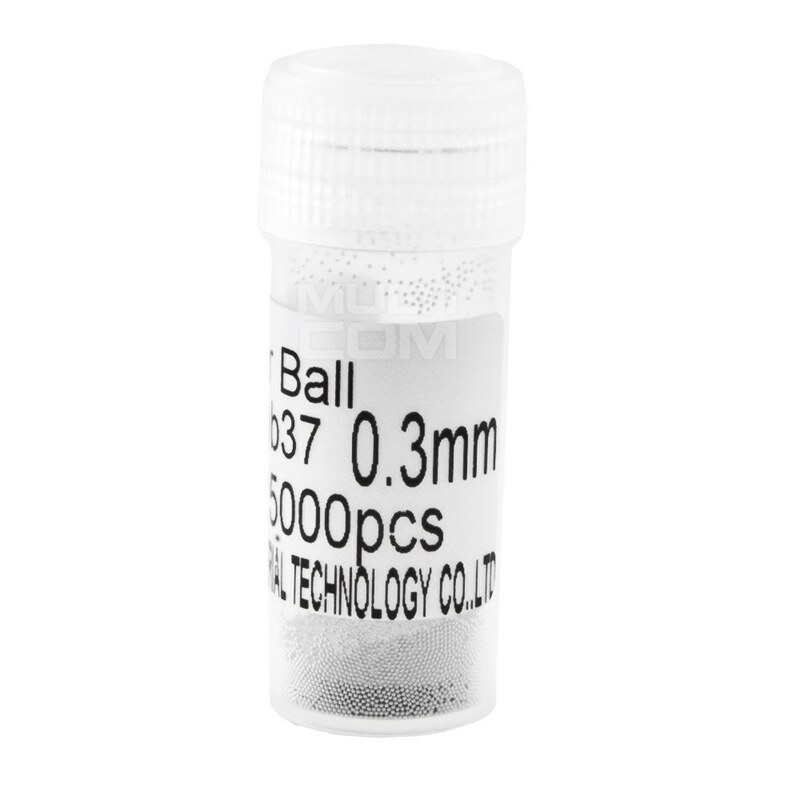 BGA PMTC Sn63pb37 balls 0,30mm 12500 pcs are balls designed for regeneration of electrical connections under BGA circuits. Composition of beads: tin - Sn 63%, lead Pb 37% (lead beads). PMTC balls. 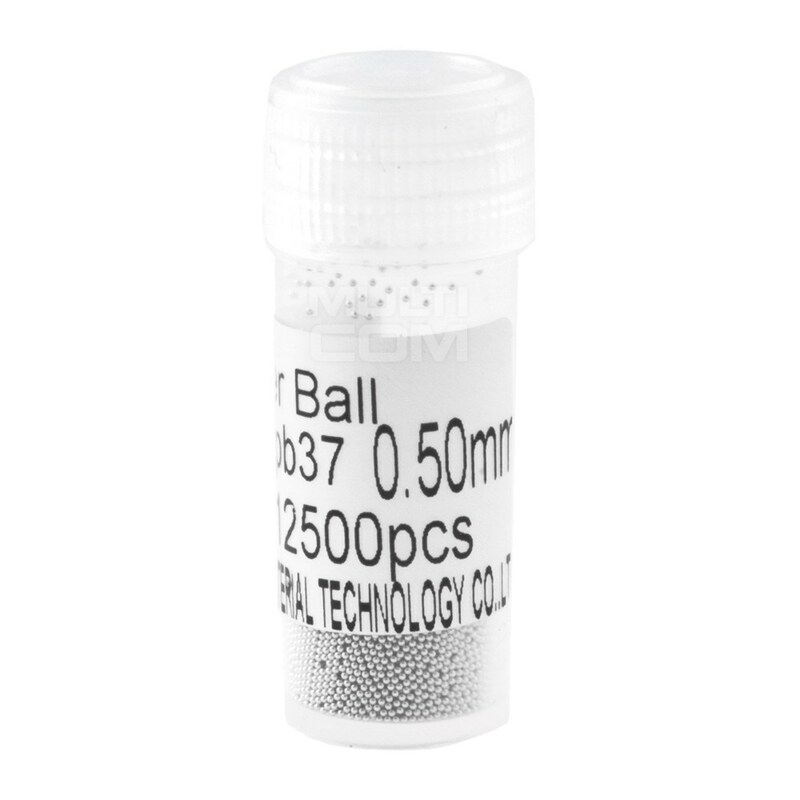 BGA PMTC Sn63pb37 balls 0,35mm 12500 pcs are balls designed for regeneration of electrical connections under BGA circuits. Composition of beads: tin - Sn 63%, lead Pb 37% (lead beads). PMTC balls. BGA PMTC Sn63pb37 balls 0,40mm 12500 pcs are balls designed for regeneration of electrical connections under BGA circuits. 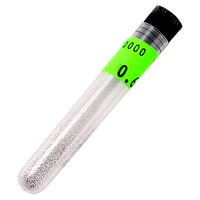 Composition of beads: tin - Sn 63%, lead Pb 37% (lead beads). PMTC balls. 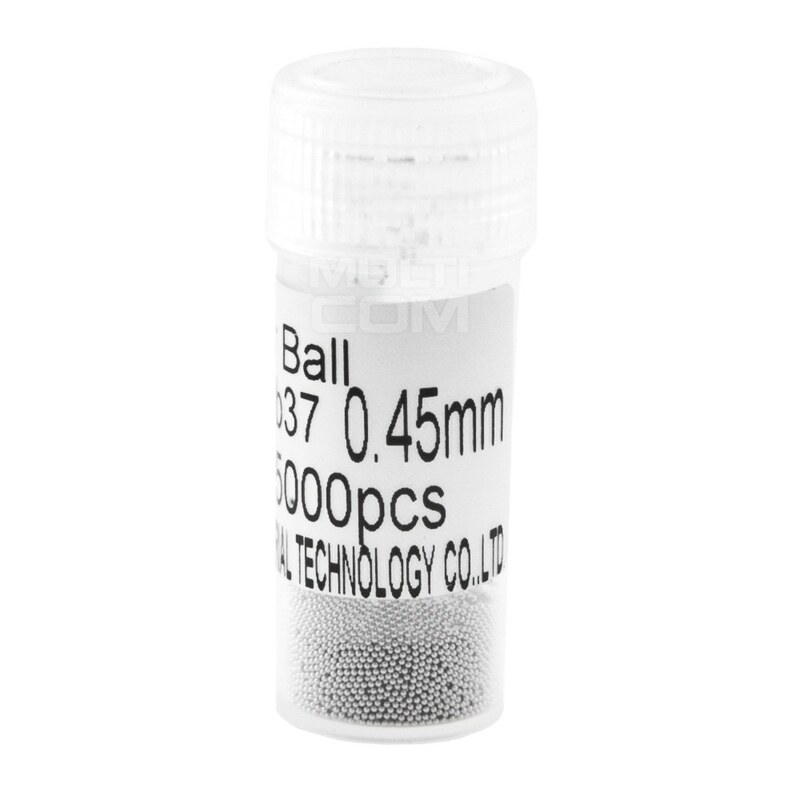 BGA PMTC Sn63pb37 balls 0,45mm 12500 pcs are balls designed for regeneration of electrical connections under BGA circuits. Composition of beads: tin - Sn 63%, lead Pb 37% (lead beads). PMTC balls. 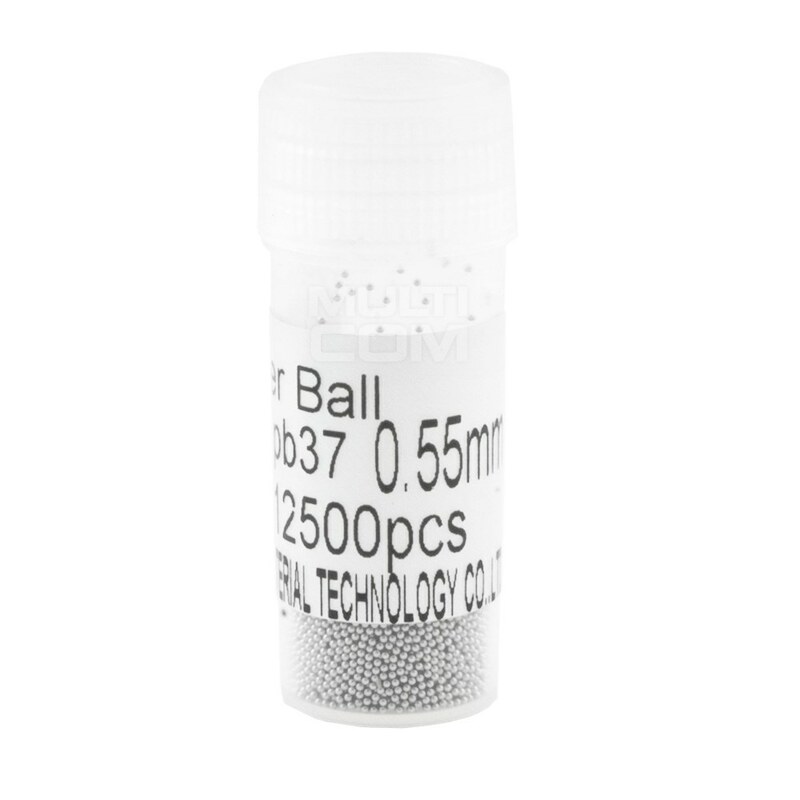 BGA PMTC Sn63pb37 balls 0,50mm 12500 pcs are balls designed for regeneration of electrical connections under BGA circuits. Composition of beads: tin - Sn 63%, lead Pb 37% (lead beads). PMTC balls. 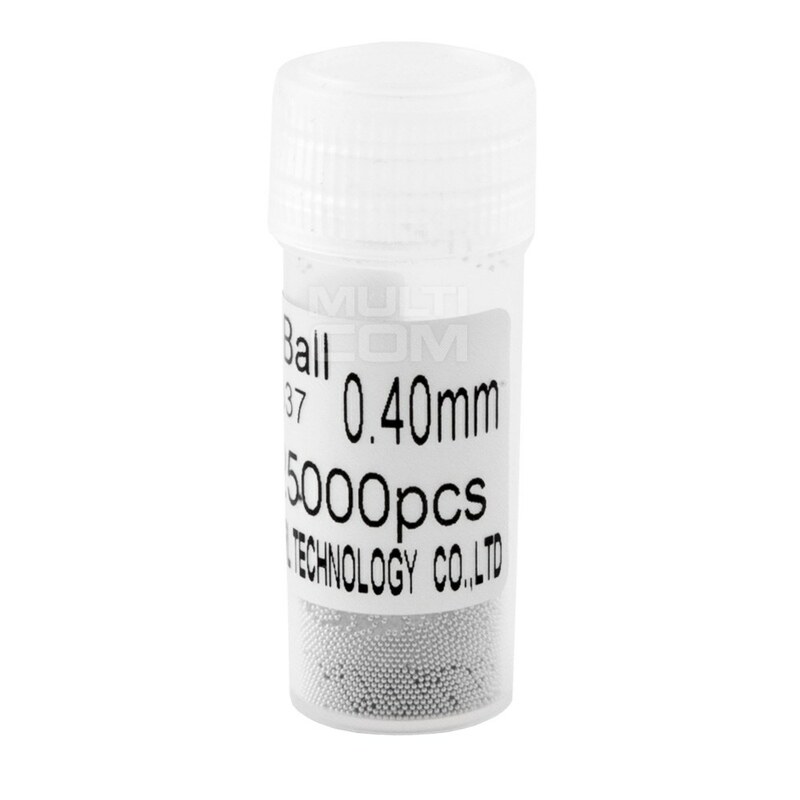 BGA PMTC Sn63pb37 balls 0,55mm 12500 pcs are balls designed for regeneration of electrical connections under BGA circuits. Composition of beads: tin - Sn 63%, lead Pb 37% (lead beads). PMTC balls. 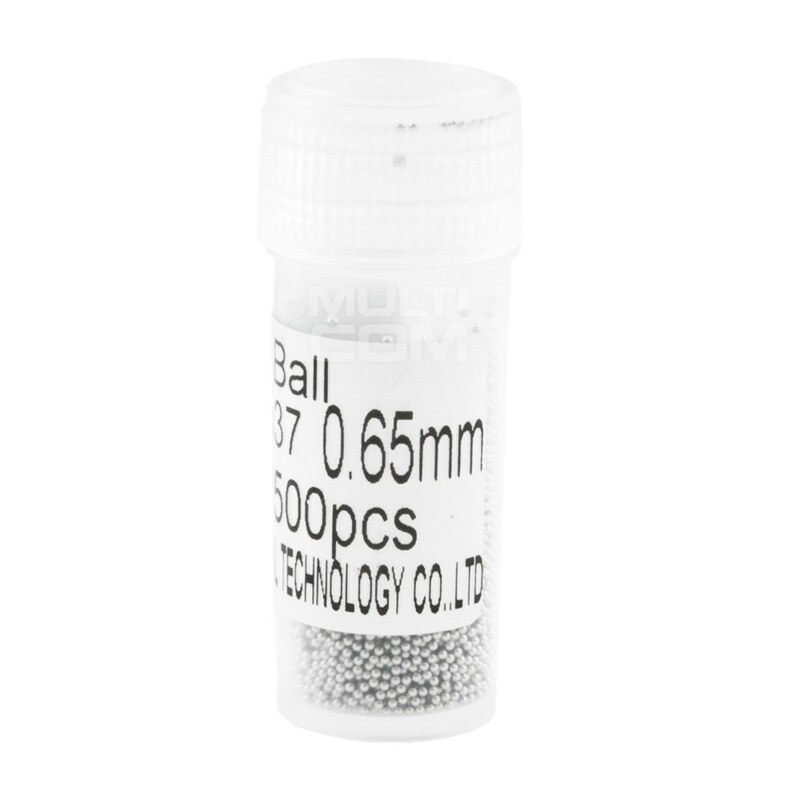 BGA PMTC Sn63pb37 balls 0,60mm 12500 pcs are balls designed for regeneration of electrical connections under BGA circuits. Composition of beads: tin - Sn 63%, lead Pb 37% (lead beads). PMTC balls. 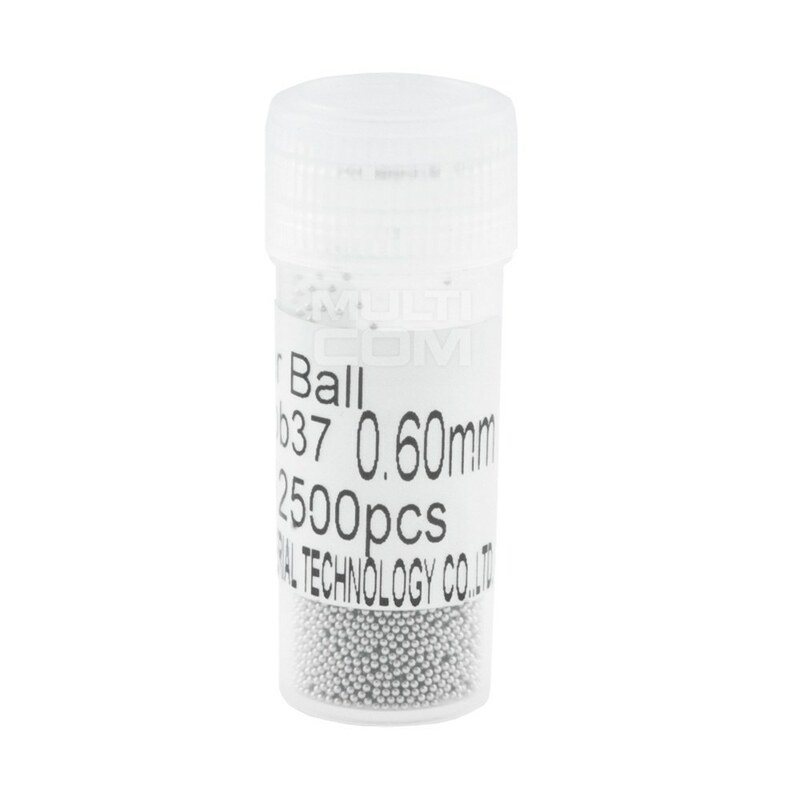 BGA PMTC Sn63pb37 balls 0,65mm 12500 pcs are balls designed for regeneration of electrical connections under BGA circuits. Composition of beads: tin - Sn 63%, lead Pb 37% (lead beads). PMTC balls. 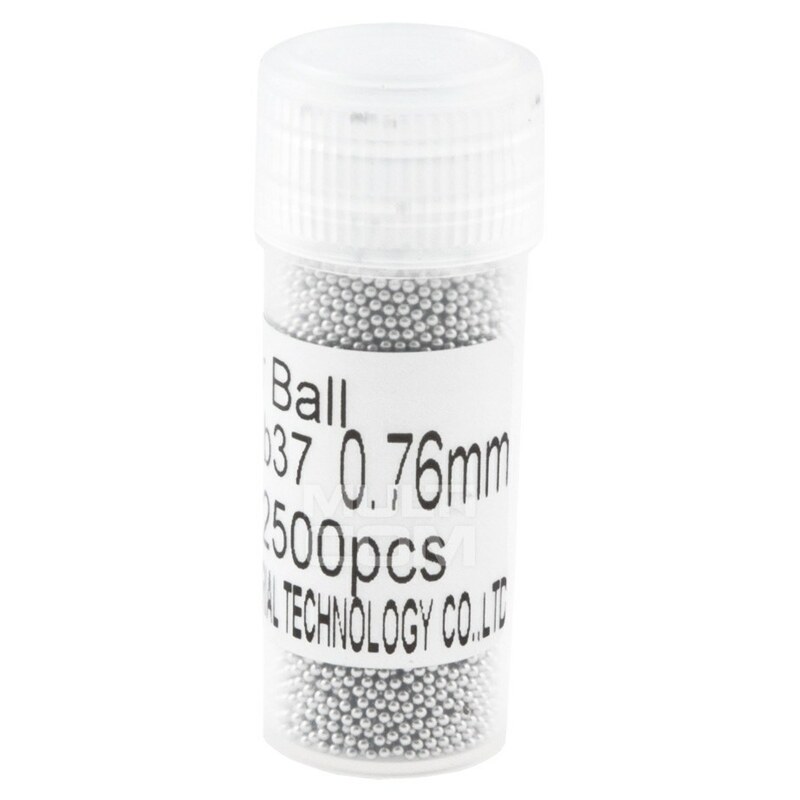 BGA PMTC Sn63pb37 balls 0,76mm 12500 pcs are balls designed for regeneration of electrical connections under BGA circuits. Composition of beads: tin - Sn 63%, lead Pb 37% (lead beads). PMTC balls. 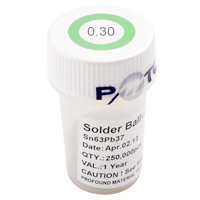 PMTC BGA Solder Balls 0.30 mm - Leaded Sn63Pb37 (250000pcs) is China's most respected solder ball manufacturer Profound Material Technology Co. Ltd. These solder balls are highly respected in the industry and our reputation is your gurantee. 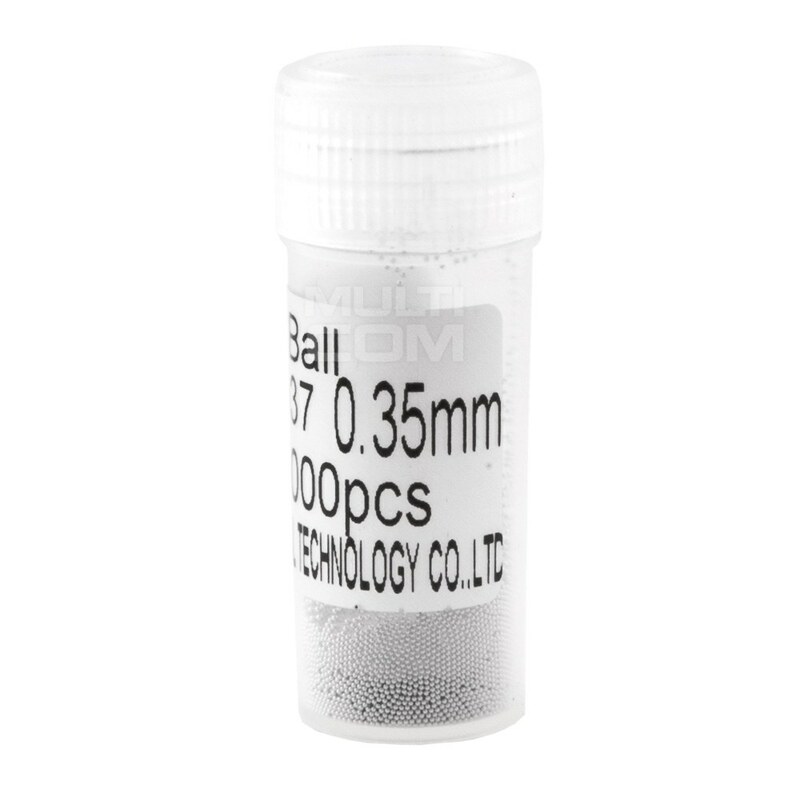 PMTC BGA Solder Balls 0,25 mm - Lead Free Sn96,5/Ag3/Cu0,5 (250000pcs) is China's most respected solder ball manufacturer Profound Material Technology Co. Ltd. These solder balls are highly respected in the industry and our reputation is your gurantee. 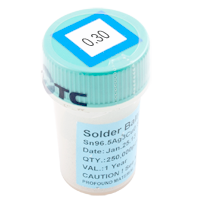 PMTC BGA Solder Balls 0,30 mm - Lead Free Sn96,5/Ag3/Cu0,5 (250000pcs) is China's most respected solder ball manufacturer Profound Material Technology Co. Ltd. These solder balls are highly respected in the industry and our reputation is your gurantee. PMTC BGA Solder Balls 0,35 mm - Lead Free Sn96,5/Ag3/Cu0,5 (250000pcs) is China's most respected solder ball manufacturer Profound Material Technology Co. Ltd. These solder balls are highly respected in the industry and our reputation is your gurantee.